---At the invitation of Energy Development Corporation Ltd. (EDCL) of Rwanda Energy Group and Ethiopian Electric Power, Director General Xu Jincai led a delegation to visit Rwanda and Ethiopia from August 4th to 11th. In Rwanda, visits were arranged to Rwanda Energy Group, University of Rwanda, Integrated Polytechnic Regional Center (IPRC) and relevant enterprises to discuss the setting-up of "Technical Transfer, Research and Training Center on Clean Energy and Rural Electrification for East Africa" and the forthcoming cooperative activities. The delegation also met Mr. Wang Jiaxin, the Economic and Commercial Counselor of the Chinese Embassy in Rwanda. In Ethiopia, the delegation visited Addis Ababa Science and Technology University (AASTU), HRC's partner for managing and operating the "China-Africa Technical Transfer, Research and Training Center on Clean Energy and Rural Electrification", and discussed the implementation plan of year 2019 with Dr. Nurelegne Tefera Shibeshi, the President of AASTU. The delegation also visited Mr. Chen Ning, the Counselor of the Mission of China to the African Union, and briefed HRC's recent cooperation activities with African countries. Besides, HRC delegation had a detailed discussion with EDCL about the renewal of previous MOU, and reached a consensus on the further cooperation. 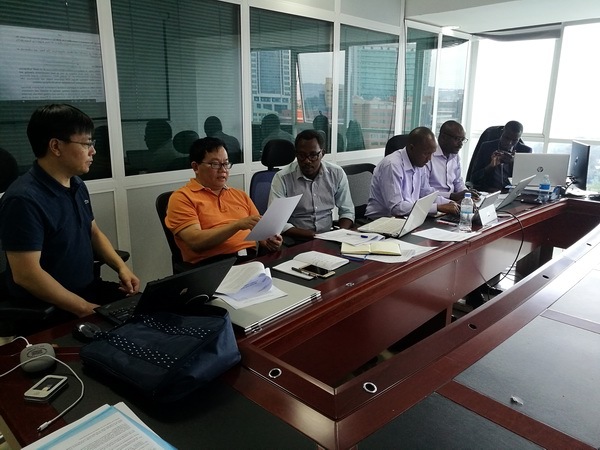 Mr. Xu Jincai also delivered lectures on SHP technology in Rwanda and Ethiopia during his stay. Discussing with AASTU for the Follow-up Work of "China-Africa Technical Transfer, Research and Training Center on Clean Energy and Rural Electrification"